Overland embodies BlackRhino style with its multi layered mechanical features that strongly tie lip with its concavity that constructs into an ultra rugged looking custom wheel. Overland embodies BlackRhino style with its multi layered mechanical features that strongly tie lip with its concavity that constructs into an ultra rugged looking custom wheel. It’s a fresh take on the split five spoke design that is integrated with its outer bolted lip- showcasing both intricate ruggedness and precision style that define this brand. The hallowed five tongued forks are individually recessed in the right areas to give many dimensions that suit the most demanding styles of trucks. The Overland has unique dimensionality with these details combined with aggressive concave for the wider sizes. To cover the full range of stock and lifted off highway vehicles, Overland offroad rims are available in 17X8 , 17x9.5 ,18X8, 18x9.5, and 20x9.5 sizes. Offsets range from -18mm to+52mm for five, and six lug bolt patterns. These truck rims sport huge lips to provide safe bead seating for oversized tyres. 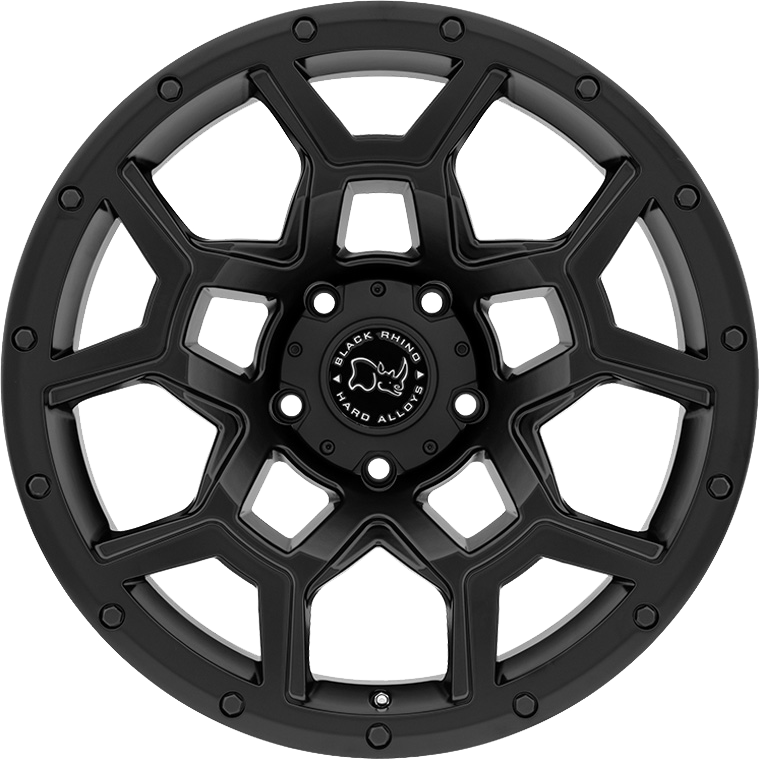 Overland truck wheels are featured in the classic stealth matte black.